Overall, I made good progress on my January goals. I defined my 2017 details of my goals in a previous post. I assembled a Raspberry Pi and set up a temperature and humidity logger in my small gardening room in my basement. 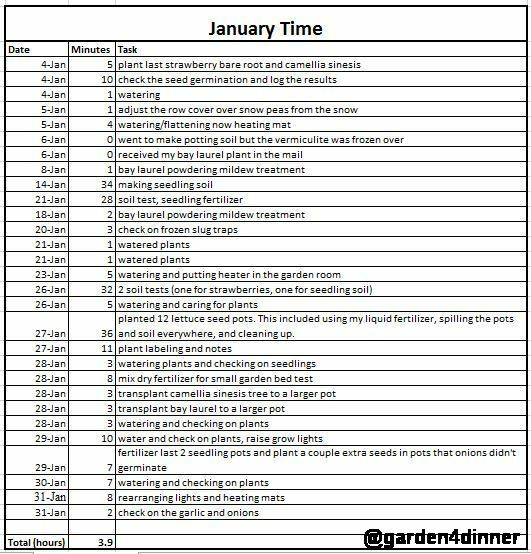 Overall, I spent 3.9 hours on gardening in January. I am a little surprised by this number considering January is not a big gardening month. This doesn’t include nonrecurring items like creating the temperature sensor or planning. Savings: The only home-grown produce we ate this month was a few heads of garlic. I priced garlic at the grocery store for $1.09 a head and estimated we ate 3 for a total of $3.27. Spending: I spent $73.35 on liquid fertilizers. Overall, my total was $70.08 for January. I did purchase almost all of my seeds in 2016 or before, so I won’t be including the cost for spring. Little waste: We didn’t waste any food this month, but we didn’t harvest any either. I will need to look into freezing (my previously harvested) garlic in the near future. I used peat moss, organic compost, and perlite for the seedlings. I used organic fish, morbloom, and bone meal fertilizers. 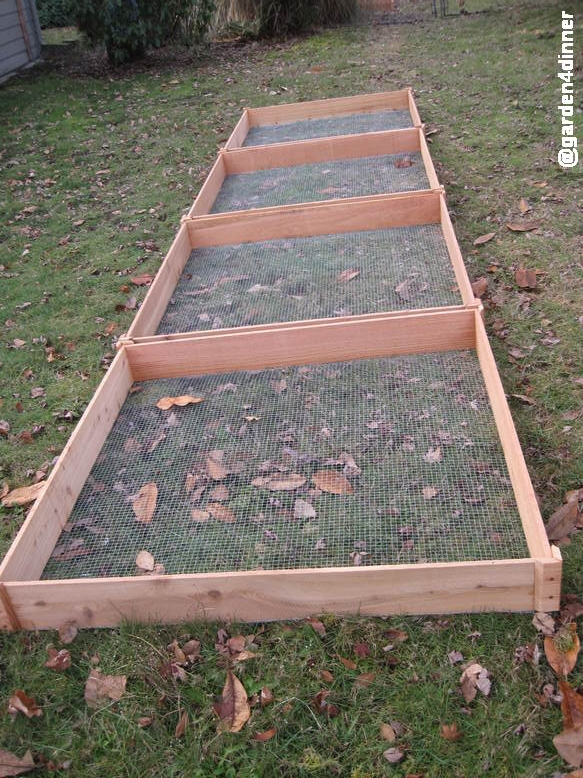 My husband is building 10 new garden beds. They are currently in progress. I experimented with my garden room temperature after creating the temperature logger. Additionally, I created seedling fertilizer to give my seedlings a more successful start. I tried a new organic treatment for powdery mildew on my laurel bay tree. I will share the results in a future post. Have you been very successful on any of your goals in January? Are there things you want to continue to improve? I would love to hear what they are in the comments!